We do not offer items to those wishing to join. As Duke Paulus Atreides said "Allegiance that must be purchased by bribes or wages is holow and flawed, and could break at the worse possible modment." The Atreides Clan was founded by Leto II after a acident caused him and several members of his house to shift realms into dragon court. They found their technolgical devices to be useless in this realm and had to depend on their training as swordsmen. The Atreides superior training gave them quick reflexes which proved to be a strong advantage in battles in this new realm. 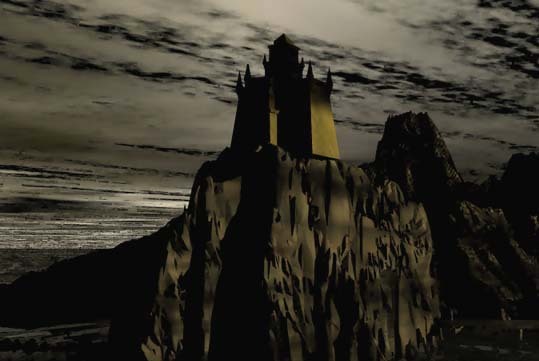 They banded together and started working on building a new home, Castle New Caladan. This castle was built in a likeness to the the acnestral Atreides castle located on the planet Caladan. Both at the top of a hill by a cliff overlooking the sea. They recruited natives of this land to assist and took on some of the customs. After many years Leto II found a way to return to the Atreides' orginal home and many left. One of these who left was a young native mage named Kralizec. After learning in the Atreides' home land he returned to the Salamander Township. After some travels he found the abandond Castle New Caladan. He started rebuilding and training men to bring the former glory of the Atreides back to this land.